The local retail and dining scene is about to feature even more variety as the opening of the King of Prussia Town Center approaches. On a 130-acre tract that was once home to the Valley Forge Golf Course (1928-2005), more than 50 new retailers and restaurants will rise. Among the earliest is Davio&apos;s Northern Italian Steakhouse, scheduled to open in August. Tumoor Haye is General Manager of Davio&apos;s King of Prussia; for the past month, he has split his time between the restaurant&apos;s Philadelphia location on Philadelphia&apos;s Rittenhouse Square and its new KOP site. He knows there are many suburban diners who have never experienced Davio&apos;s, and he and his staff are very eager to facilitate the introductions. "We are a fine-dining, family restaurant," he says, describing both the menu and the atmosphere. "We serve customers from age eight to 80, and our menu goes from pasta, pizza and burgers to high-end steak." The work in preparing the restaurant, with a seating capacity of 200-300, has been nonstop. "We are about 10 days ahead of schedule," Haye says. "Construction is supposed to wind up somewhere between August 1-5. Our training will wrap up August 8. And by August 21, we will be having our opening party, an event we can&apos;t wait to launch." A unique feature of the King of Prussia Davio&apos;s is its Galleria. Haye describes it as a "...cool carryout window that will open at 7 a.m. and stay open until 9 p.m."
Service at the Galleria will include breakfast sandwiches for the early-morning commuters, as well as lunch items. "We want to hit people as they go to work and who aren&apos;t able to necessarily get out at midday to get something to eat," Haye explains. "Late night, it&apos;s going to be great desserts to go and incredible gelato. "We&apos;re looking to become people&apos;s Dunkin Donuts in the morning and Rita&apos;s Water Ice at night," he summarizes. The King of Prussia location, according to Haye, is key to its success. "People in the suburbs want the high-quality dining scene of Center City Philadelphia. But they don&apos;t want to commute or pay the parking," he says. "To get from King of Prussia to Market Street is about an hour and 40-minute drive in the evening. "I know this market; I know it well. Living in Upper Merion Township, I can honestly say that nobody in Collegeville or Trooper or King of Prussia who is looking for a great meal is going to come any further east than Lancaster Avenue to get it." The King of Prussia Davio&apos;s also has another advantage over its big-city counterpart: size and positioning. The 12,000 feet of dining space makes this the largest Northern Italian steakhouse in the chain. And its visible footprint along the main street of the King of Prussia Town Center will make it a magnet for hungry customers strolling by. 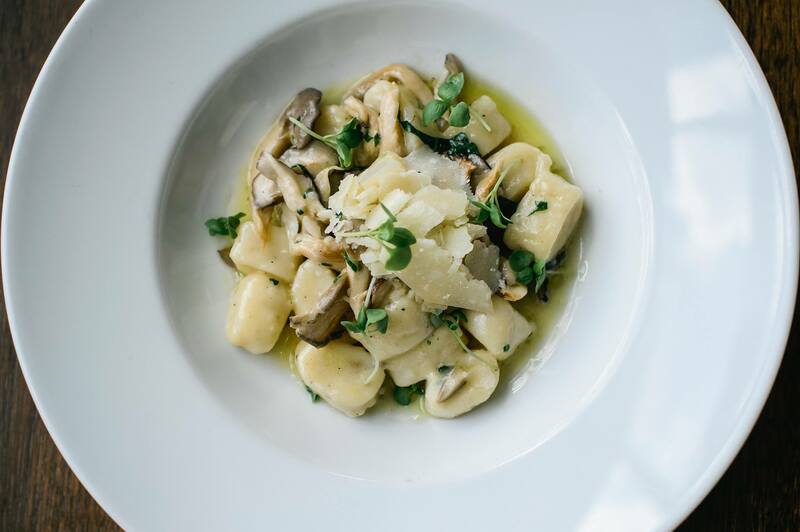 The Davio&apos;s chain was started in 1985 in Boston, when a 24-year-old restaurateur bought out a family-owned restaurant that had been in business since 1977. His vision transformed not only the menu and the kitchen but also Beantown&apos;s general culinary scene. The brand expanded in 1999 to Philadelphia, nestling into the second floor of the former Provident Bank Building. 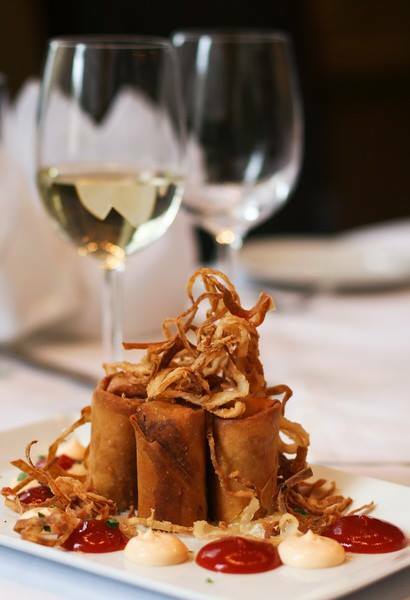 Its Philly Cheese Steak Spring Rolls, also on the King of Prussia menu, have become a standout dish. Davio&apos;s Northern Italian Steakhouse is one of 175 restaurants profiled in Crave, the new dining magazine of the Valley Forge Tourism & Convention Board.